I haven't been able to post recently since our camera keeps giving out on us, but I was able to snap a few photos of these cute bunny treat bags I made for the kids friends at school for Easter this year before the camera really died. Easter is extra early this year and with exams, papers and hospital clinical rotations, it's lucky the little bears are getting to take anything to school! When I was trying to come up with ideas, I wanted to make something original but also easy and inexpensive. With most of the supplies already on hand, it was virtually free (other than my time). Click below for a a step by step tutorial and photos. 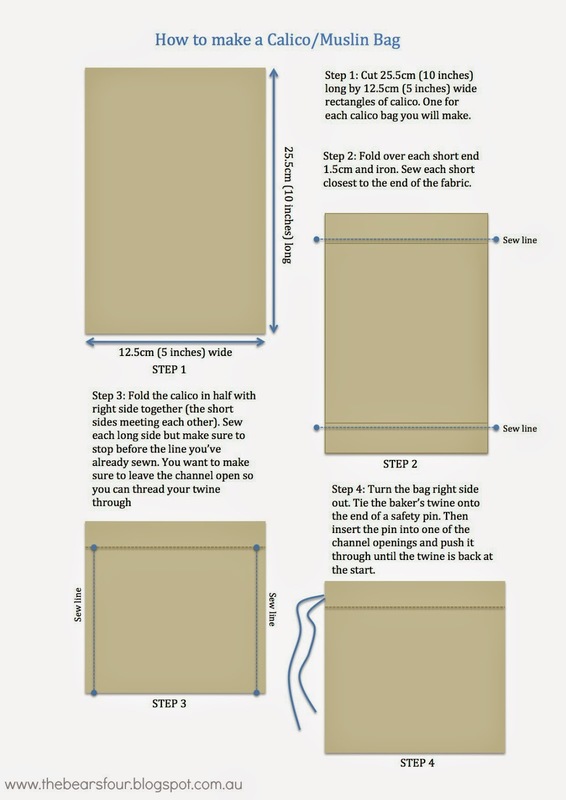 Step: Make the calico bags. 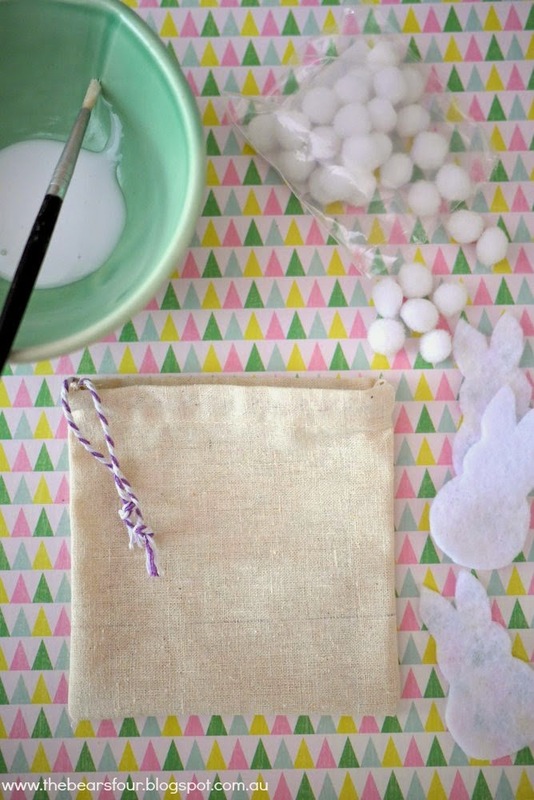 You can buy muslin bags if you prefer to not make them, but I was trying to make these as inexpensively as possible. 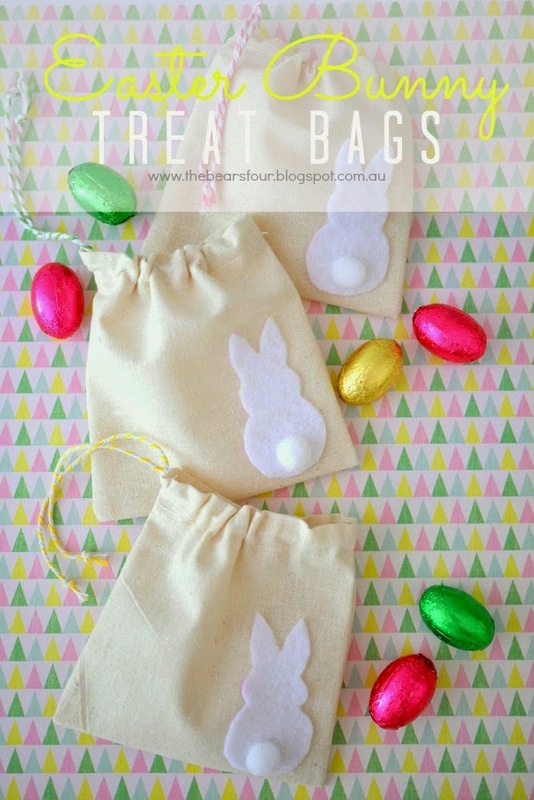 Step 2: Cut out your bunny shapes, one per bag and glue a bunny to the corner of each bag. Next glue a pompom to the bottom of the bunny for the bunny tail. 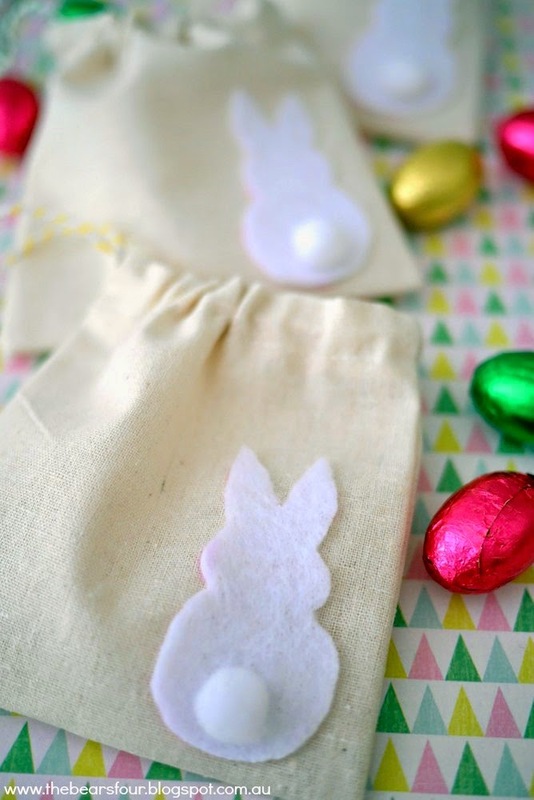 Step 3: Once dry fill the bags with easter chocolates and add a paper gift tag. I have an Easter cupcake recipe that I planned to share, but given the state of our dear departed camera, it looks like it's unlikely I'll get to take pictures. Hopefully we'll find a replacement soon and I'll be back with another post.